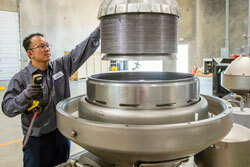 Alfa Laval's Fresno, California service center is fully equipped with the technology and expertise to repair and recondition your heat exchangers, decanters, and high-speed separators. You can count on our team of highly qualified technicians to quickly restore and improve the performance of your equipment. Our Fresno service center has the advanced tools and expertise to bring your heat exchangers back to their initial quality. 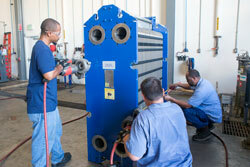 We service all brands of plate heat exchangers. 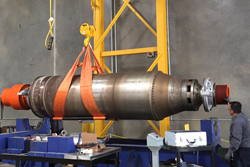 Separator repair services include standard maintenance, welding of damaged areas, refitting of wear parts, replacement of damaged parts, upgrading, balancing, and testing. 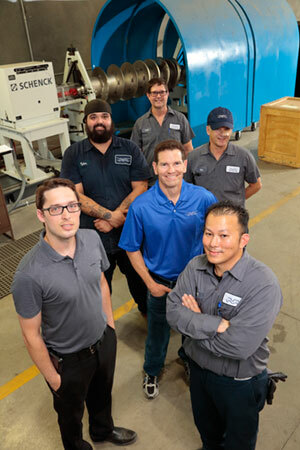 The Alfa Laval Fresno Service team has extensive product and process knowledge and their goal is to not only fix your equipment, but to improve your equipment performance. 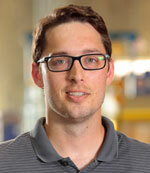 Contact us today to schedule your equipment service.